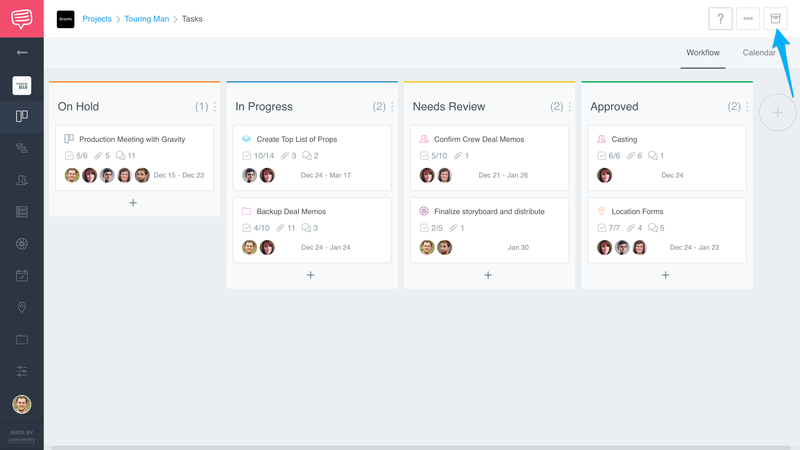 Are you looking for an old Task Card that's been archived? 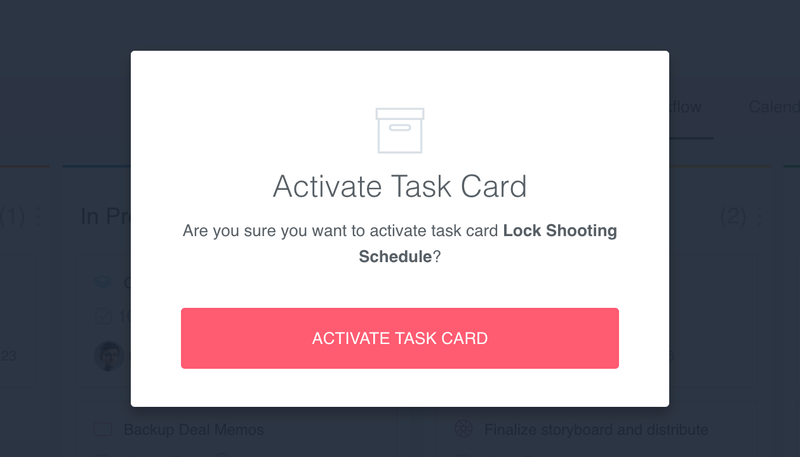 Follow these steps to locate and activate Task Cards. 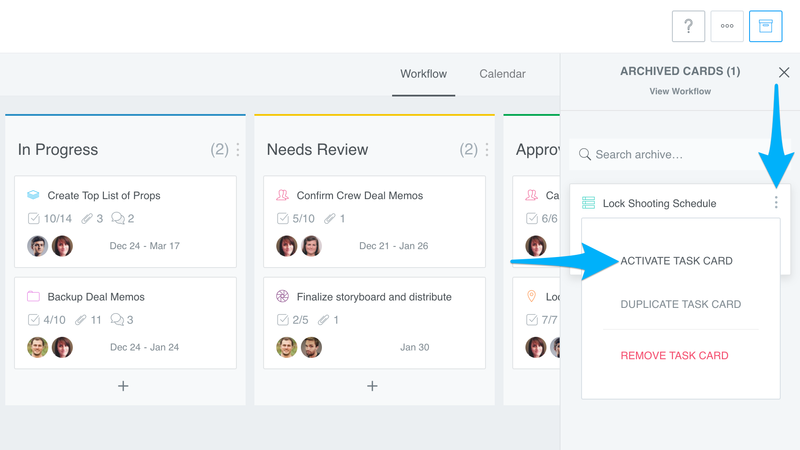 On your Workflow page, click on Archived Cards. In the drawer, you can search your Card's title or scroll until you find it. When you locate your Task Card, click the more icon (⋮) and click Activate Card. In the window, confirm your selecting by clicking Activate Card. Your card will be placed in its original column before you archived it.